In a comment on my recent post my Canadian genimate Louis Kessler remarked "I think you're showing the highest ratio of bloggers to attendees of any genealogy conference, anywhere, and that includes RootsTech. Lot's of bloggers Down Under!" And I think Louis is right. Pre-Congress I asked bloggers attending to register on a Google sheet so we could organise distribution of Blogger beads. Fifty-five bloggers attending Congress put their name on the list while several bloggers that I know were at Congress including Judy G Russell, Lisa Louise Cooke, Paul Milner, Lee-Anne Hamilton, Martyn Killion, and Carole Riley weren't on the list, there may have been others. While at Congress three new bloggers penned their first posts. That brings the total of geneabloggers at Congress to at least 61. 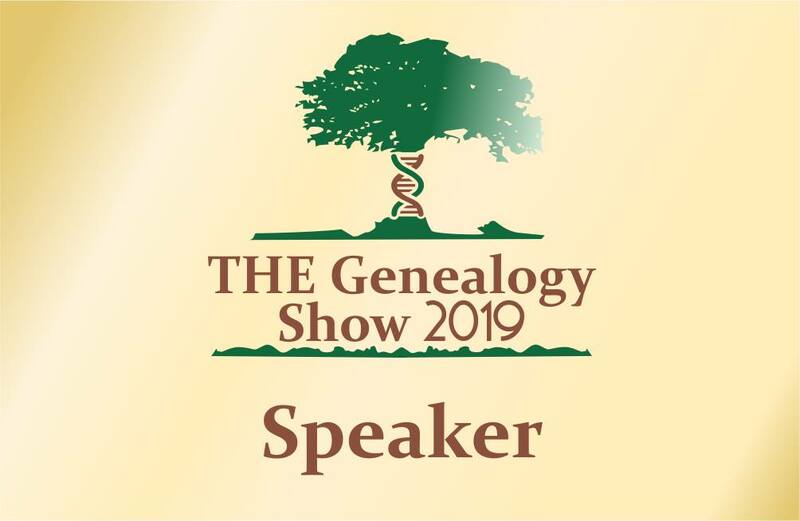 There were 620 genies registered for Congress so nearly 10% of the attendees were genealogy bloggers. One of the benefits of creating that bloggers list was that I found a few new Aussie bloggers to add to my RSS feed. I organised a photo call for the bloggers at 1:00pm on the last day of Congress. Unfortunately I had taken ill so missed the photo. Those who gathered for the photo were a little keen so they took the pictures a few minutes early which meant that some bloggers including my mate Pauleen Cass missed the shoot. 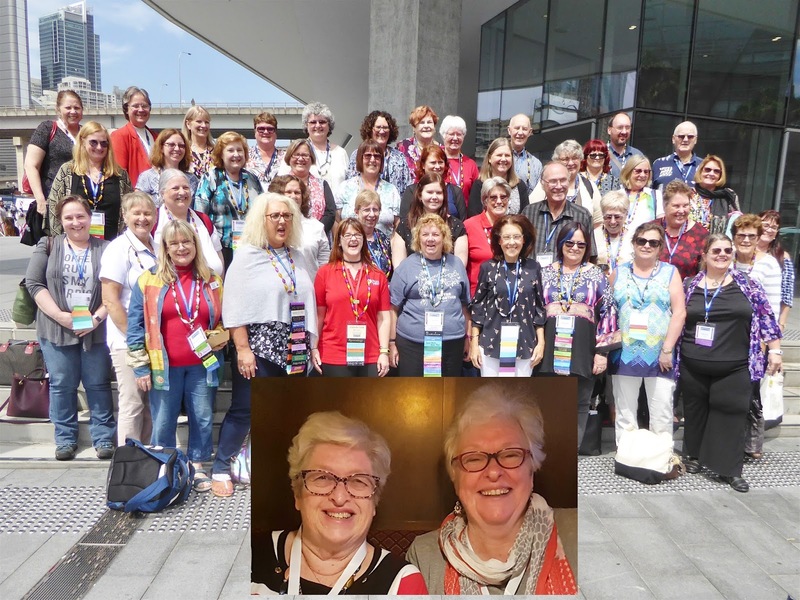 I was going to neatly paste photos of Pauleen and me into the group photo shared with me by Lilian Magill but when I saw the empty foreground that was in the picture I had second thoughts and plonked an old pic of Pauleen (my co-admin on the Genimates at Congress FB Group) and me up front and centre. Cheeky! Geneablogging is certainly thriving downunder. 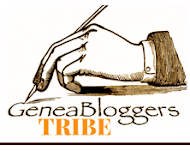 Follow https://www.facebook.com/geniauspage/ for current geneanews especially selected for genies downunder.